Solid concrete blocks are heavier to handle than hollow blocks but provide more sturdy durability than similar but smaller bricks. 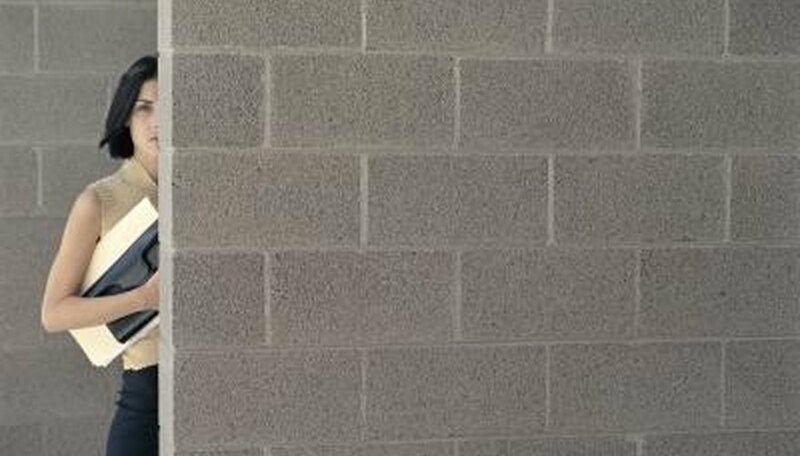 The durability and strength of solid concrete blocks makes them ideal for walls, and they can also be utilized in the construction of load-bearing walls. The outdoors is where the concrete blocks can really be put to best use as they provide solid protection against the elements. Concrete blocks are often pressed into surface in the construction of foundations. The concrete blocks are utilized in place of pour concrete, especially when the walls are to rise over 3 feet and would require a special forming technique if constructed with the poured concrete. Solid concrete blocks can be set on end to create a circular fire pit for a patio barbecue. If you build a pit in this way, know that mortar that holds the blocks together needs to be mixed with fire-clay or the blocks may not successfully withstand the heat of the fire for very long. Using solid concrete blocks to build a garden wall is cheaper and easier than forming the wall with poured concrete. You can build a solid wall very quickly using the blocks. Use of the blocks also makes it easier to build your garden wall on a slope than trying to work with poured concrete to achieve the same effect. Solid concrete blocks can be arranged to create planters for your backyard garden. The blocks can be built around an existing tree or you can build the planter as you attend to planting the garden. The planter can rise as high as you can lift the concrete blocks or you can go for width instead of depth. Concrete cinder blocks are very effective when used to build a retaining wall. Increase the strength of the wall by using pilaster buttresses to facilitate proper drainage. The pilasters should be set one block lower than the wall where they will be hidden from view by our gravel backfill. Solid concrete blocks can be drafted into serving as steps rising from the lawn to a wooden deck or a split-level patio. Take care when accessing block stairs that you don't trip as the concrete is not forgiving of the much weaker flesh covering your knees, shins and hands. A solid patio barbecue can be constructed of concrete blocks. You may want to plan for a low barbecue area so you don't have to lift those solid blocks up too high to put into place. Always use your leg muscles instead of just lifting with your back and arms when you are placing solid concrete blocks into place.